I’ve been doing this really cool thing for over 2 years and had no idea it was a thing until last year! Ever since I started using Seesaw in my classroom, I’ve had students posting about the books they read. 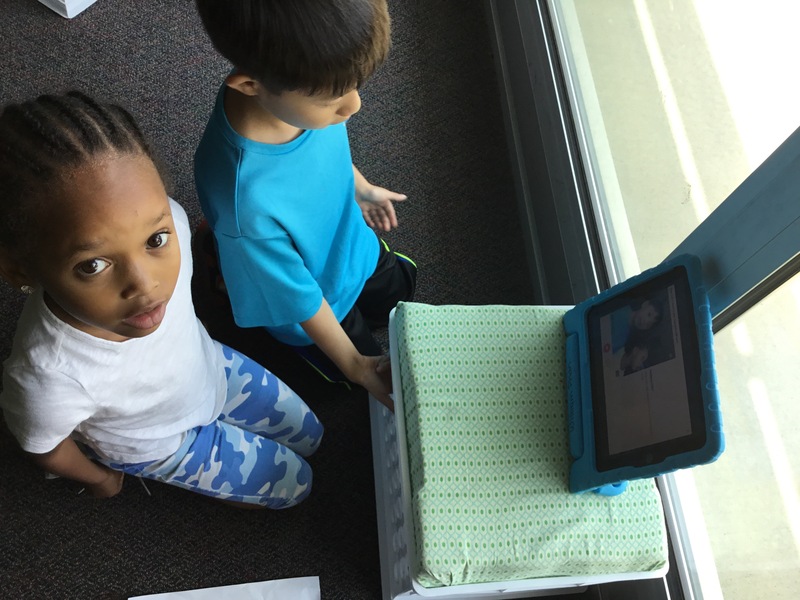 It started with a picture of the cover of the book and recording as they read or taking a video of their reading. This task helped build fluency and understanding (RL.K.10). Then we moved to a photo of the cover and retelling the story (RL.K.2). Eventually we began taking photos of the pages of the book and explaining how the picture supports the text (RL.K.7). And then it happened. I asked the students to identify the “expert words” in an informational book and one of my students used the label tool and labeled the expert words in the picture and then recorded to explain them (RI.K.4). This changed everything! I realized how much more I know about his understanding of the text and that he is applying the minilessons to his independent practice. Annotating the picture gave me way more information than simply having students record to tell. This in-the-moment decision this little friend made changed everything for me! I realized that I needed to be doing more book responses this way. 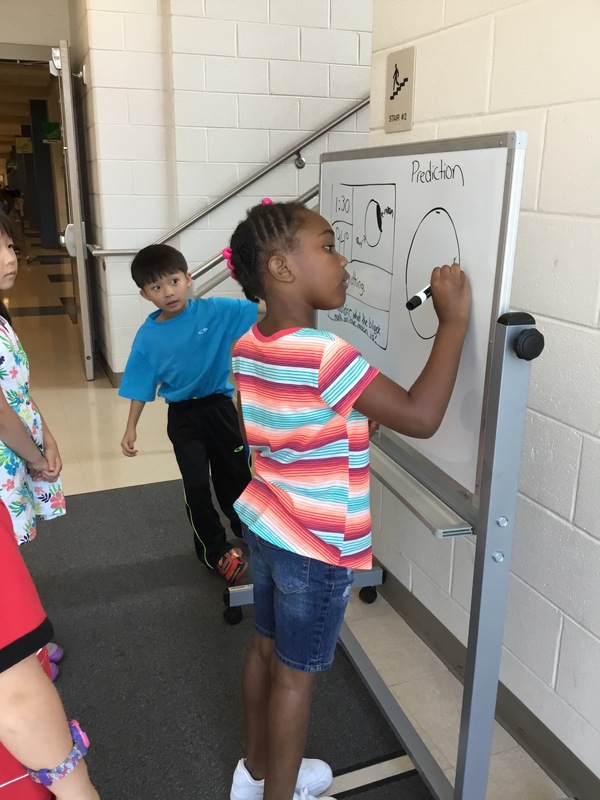 I began encouraging students to post their responses with labels and using the drawing tool to explain their thinking. And then I wend to my first edcamp, edcamp wake March, 18 2017. I went to a session on booksnaps because I had seen the idea floating around twitter and wasn’t quite sure what it was. Turns out this was one of the edcamp sessions where everyone turned up to learn something and no one really knew what it was or how to do it. After some on the spot collaborative research we were able to figure out that booksnaps were a way for students to share a reaction or their thinking on a specific section of a book using snapchat. And a light bulb went on in my head: “I do that! I just didn’t know it was a thing!” So I shared some of my students work and how we use Seesaw as a tool to share about the books we read. From this session I decided to be more intentional about students’ booksnaps and having them cite their source. I noticed that by the end of the school year, the more I asked them to include, the quality of showing what they know decreased. This year, I was more intentional about introducing booksnaps to my students and created an anchor chart to make sure all the parts were included. This year, our booksnaps have been a much higher quality including, labels, drawing, emojis, captions, and voice recordings. I have added to this chart since this picture to include retell, character strengths, comparing and contrasting, and tell 3 things. I will continue to add to this chart all year as we focus our booksnaps on different standards and question types. Our next step with booksnaps is to explore different technology tools to use. We will try some with flipgrid and chatterpix next. What is your favorite tool for booksnaps? How do you make booksnaps accessible to your littles? Anyone out there still working on their plan for The Great American Eclipse? In my area we have the opportunity to see about 90% of the total eclipse and I am TOTALLY nerding out! 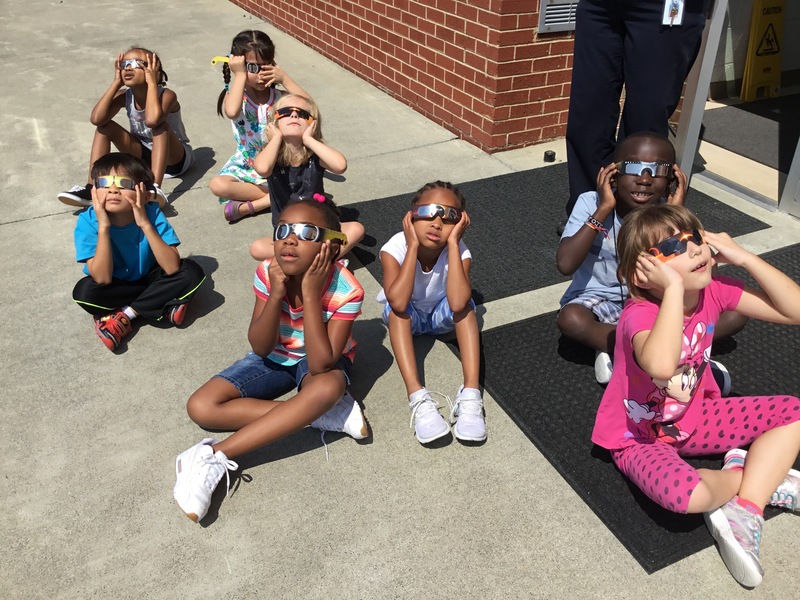 North Carolina just rolled out a new science standard for first grade 1.E.1 – Recognize the features and patterns of the earth/moon/sun system as observed from earth. This means #Eclipse2017 fits in my standards!!!! I’m just now getting my details worked out and thought I would share them. Please share yours in the comments section! One of my goals this year is inquiry based instruction. I’m going to begin our day by collecting questions my firsties have about the eclipse. I’m sure they have heard people talking about it and I want to gather what they know and wonders. This may require some last minute scrambling to make sure I address misconceptions and questions I’m not prepared for. Discovery Education has gathered some great video and image resources for the eclipse. 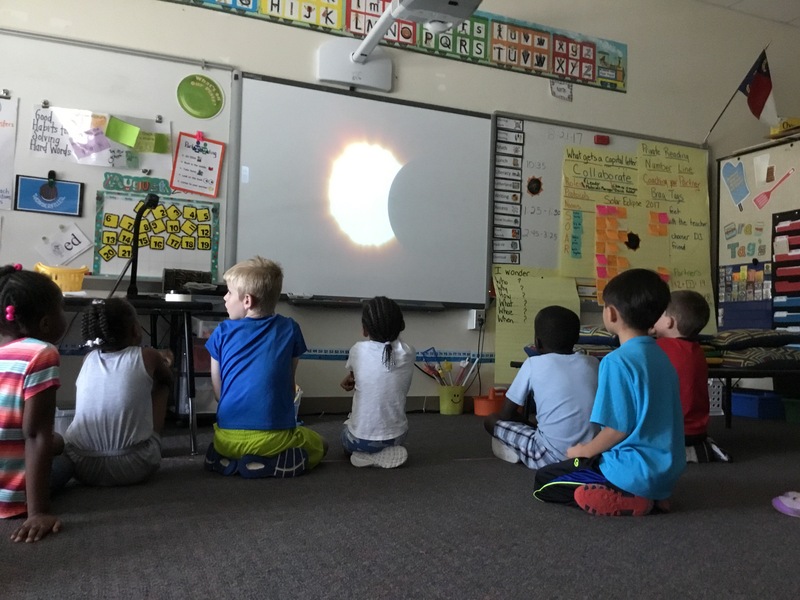 I’ll start with the one titled “Solar Eclipse.” We’ll watch it once and then I’ll have my firsties write one thing they learned on a sheet of paper. We will use the DE Spotlight on Strategy (SOS) Snowball Fight to review our learning from the video. Students will crumple their paper into a ball, throw it in the middle of the circle and on my cue pull one sheet of paper out and read it. We’ll then watch the video again. 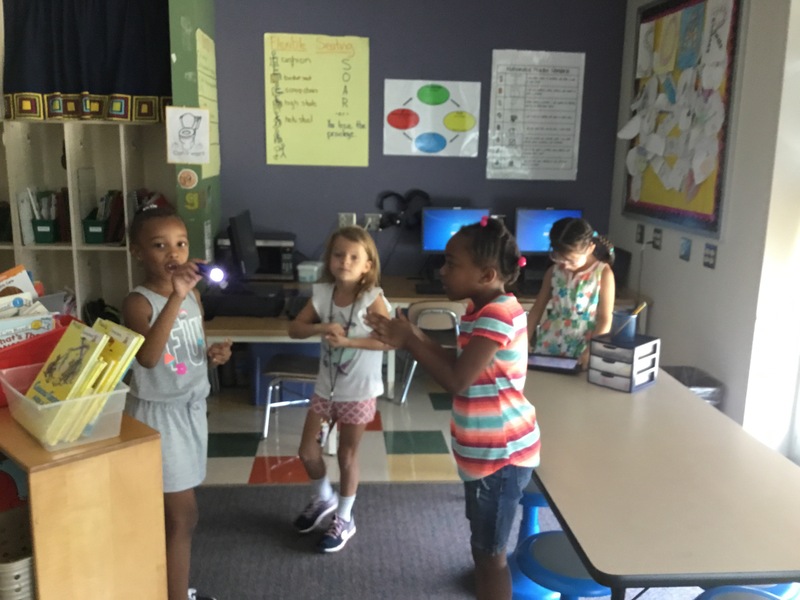 After a second video, students will pull 2 snowballs from the circle and add an idea from the video to their friends’ snowballs. We’ll then have some share time to discuss what we noticed from the video. You will probably be able to find a few good videos on You Tube if you don’t have access to Discovery Education. Reading A-Z has some great science content on Science A-Z. Their July issue has a short 1 page article I’m going to have my firsties read in pairs. 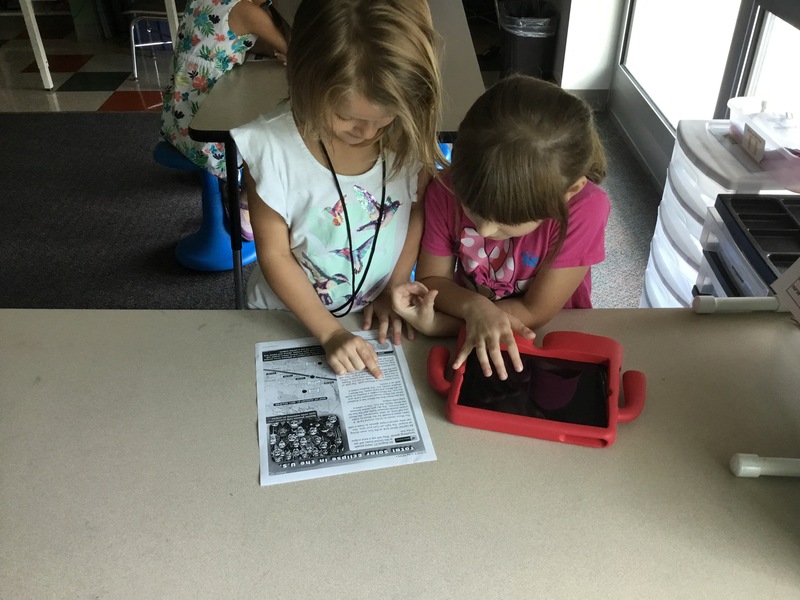 After reading, they will use Flipgrid to share a selfie video of the most interesting thing from the article. If you don’t have access to this great resource, they offer a free 2 week trial! Also, Front Row is free and they have a few different short, leveled articles about the eclipse you can share. I have a handful of flashlights and quarters I’m bringing to school tomorrow. Students will use these materials to work in groups of 3-4 to make a video of what they think will happen during the eclipse. They will post this video on Seesaw. I have this amazing observation sheet from my EDU buddy Bill Ferriter. I have made 5 copies for each student. We will go outside to observe for about 30 seconds. Then we will come inside to work on our observation sheets. We will go out for observation 5 different times during the eclipse so my firsties can see the changes in the sky and environment. 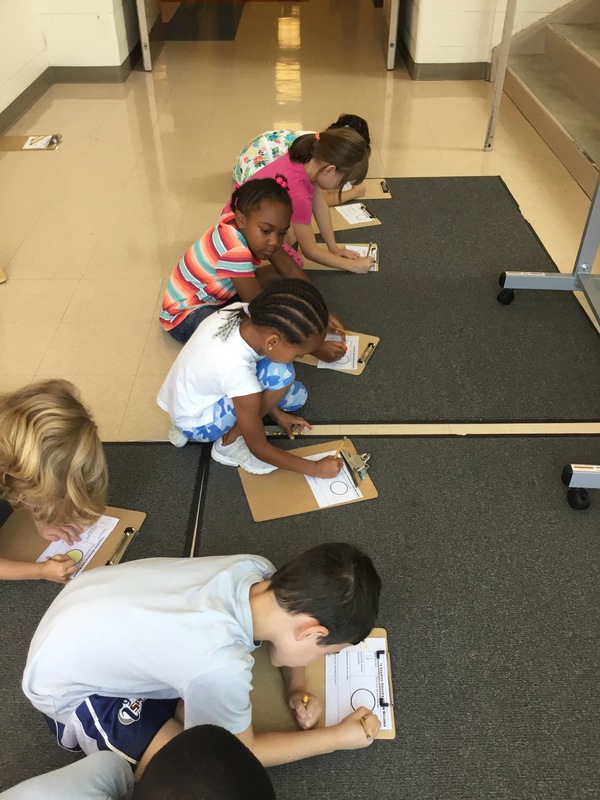 Each time we come inside to reflect on observations, we will discuss what we saw and make a prediction of what it will look like next. 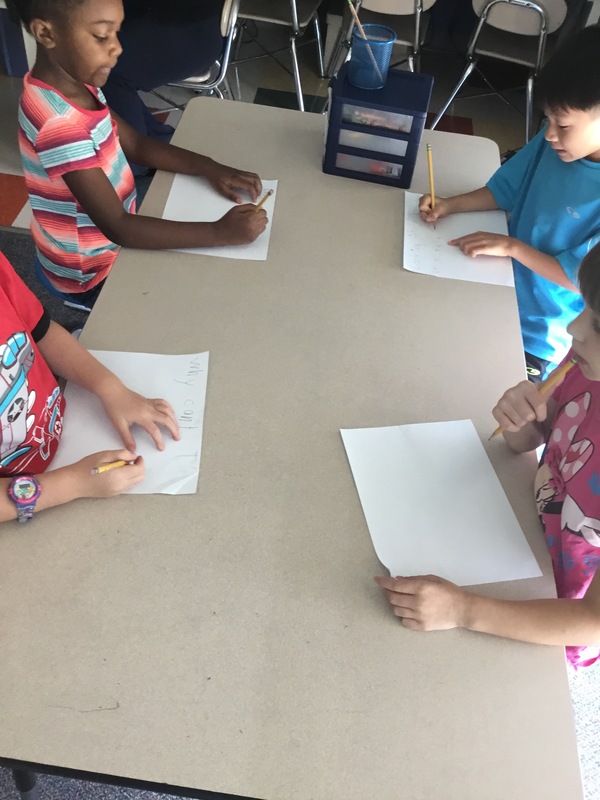 I’ll have a student share their drawing and together we will draw our predictions on a portable dry erase board. I just bought a Google Cardboard and they have a Virtual Reality App for the eclipse. It costs $0.99 but I think that is worth it! I only have 1 cardboard so they will have to take turns. I’m doing this before the eclipse will help curb their desire to look at the eclipse outside. Discovery Education also has a bunch of other videos I can use for my firsties to gather more information. They are also streaming the eclipse live on the Science Channel if it is cloudy or something happens that we can’t go outside. We can also view this when the eclipse is over as we reflect on the experience. If we have time, we will make this to help us act out the movements of the earth and moon around the sun and try to make it show a solar eclipse. Mystery Science also has a great activity with all the content you will need! I’m going to use another DE SOS for students to reflect on their experience. I’ll have them recreate the eclipse with art materials then tell about it with the “3 truths and a lie” SOS. I’m going to have them start with 1 truth and 1 lie and add to it time permitting. We’ll write the truths and lies flipbook style so we can hang them in the hall and others can guess which is the truth and which is the lie and flip it up to see. I also have other reflection ideas so this may change or, better yet, I’ll give them a choice. It’ll depend on how everything goes tomorrow. Note: It is NEVER safe to look directly at the sun! 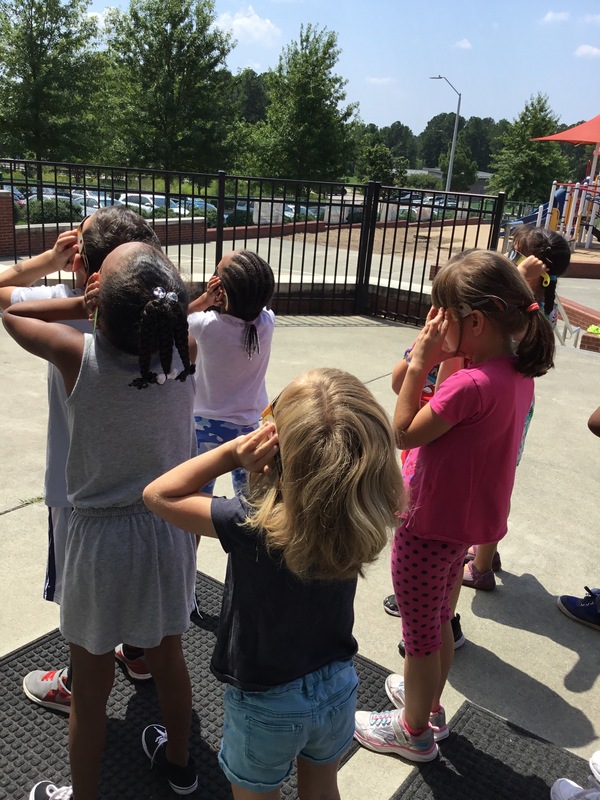 I have parent permission and NASA approved eclipse glasses for each of my firsties. We are going outside to view the eclipse. I will (obviously) be very strict about making sure they know the damage that can be done if they do not leave their glasses on their eyes. I’ve done my research and know that if they look with a naked eye they won’t feel pain because the retina doesn’t have pain receptors and they will have blurry or even lose their vision permanently. I’m going to be very up front and honest with my firsties and I trust them to follow my directions. PS – I’ll take pictures tomorrow and edit this post after!